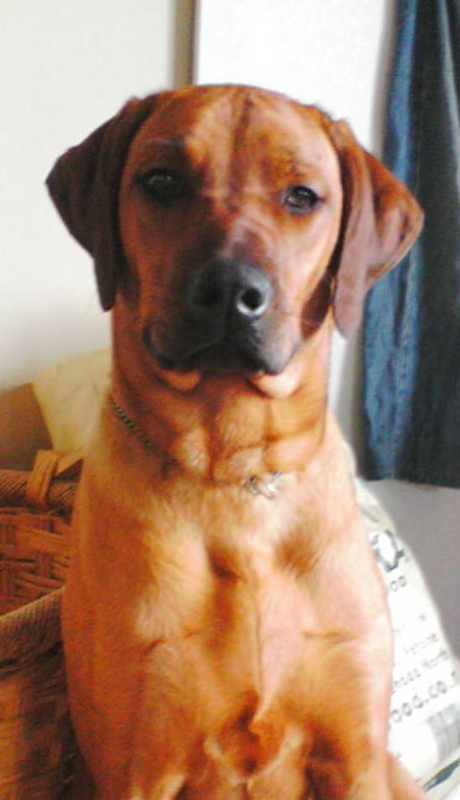 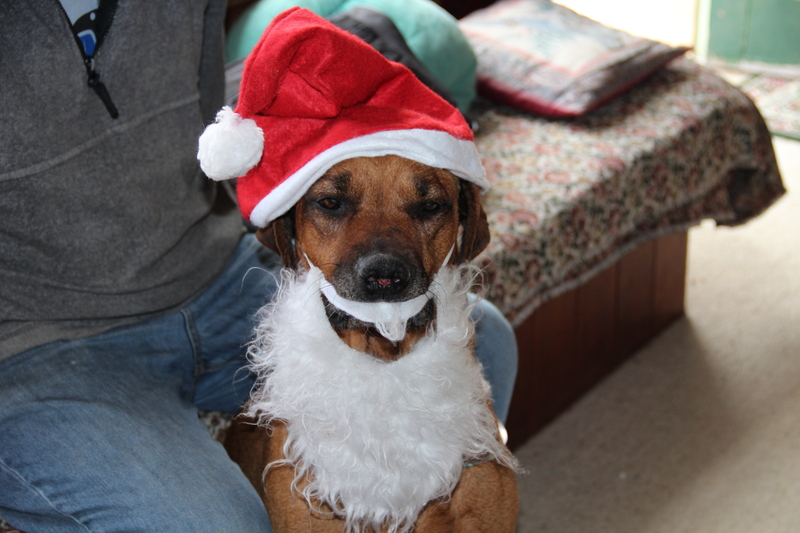 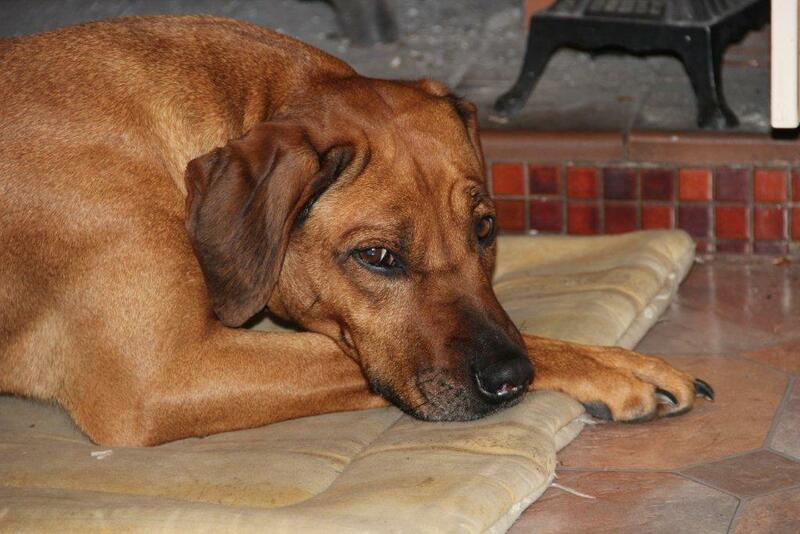 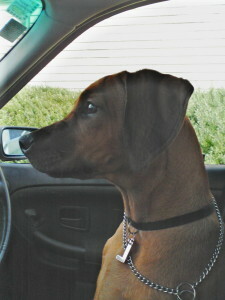 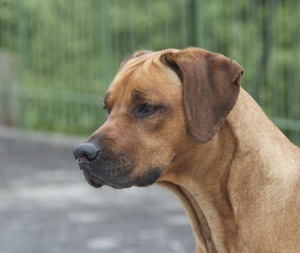 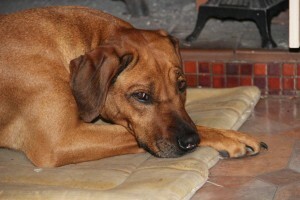 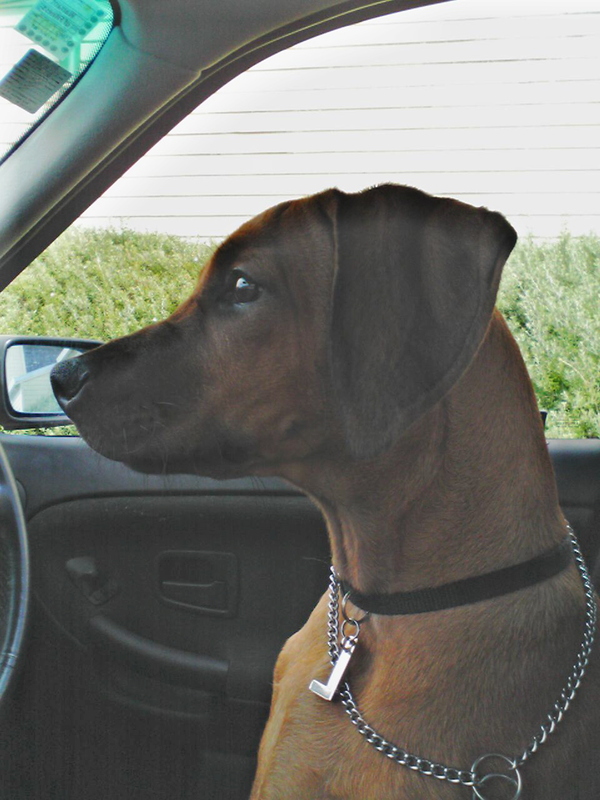 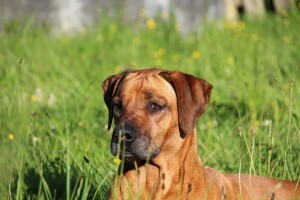 Lace came to us from Rachel Janes of Nambala Ridgebacks. From the day she arrived, Lace had personality plus! 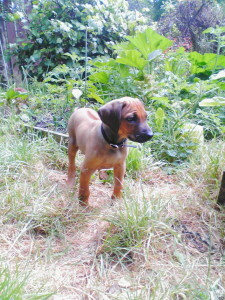 She was a smart puppy and quickly learnt how to get what she wanted. 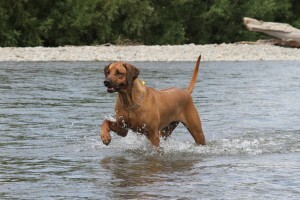 Lace quickly made friends with "Jess" - my mum's black Great Dane cross who taught Lace how to swim. 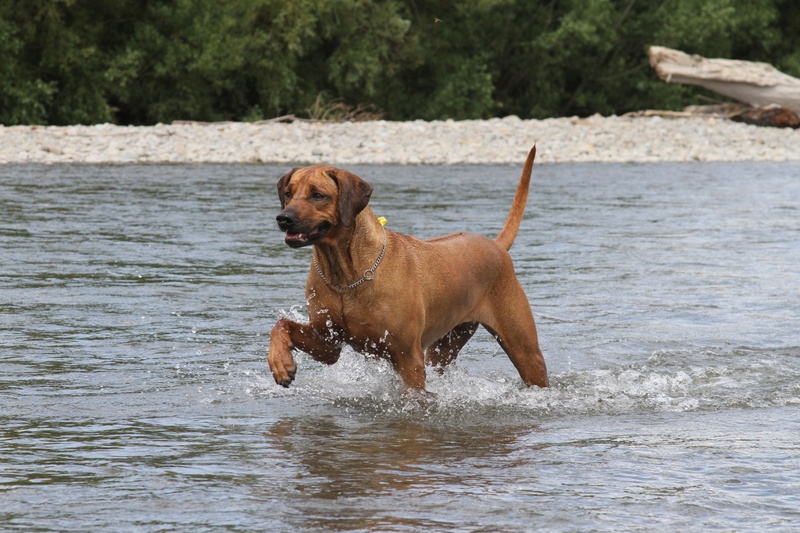 She now loves swimming, just as much as she enjoys chasing bunnies and lying around in the sun. 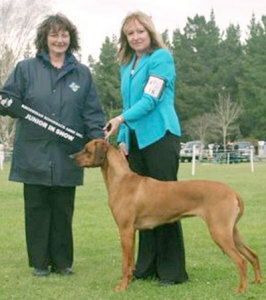 Lace had a successful show career and was one of the first RR's to qualify for Lure Coursing. 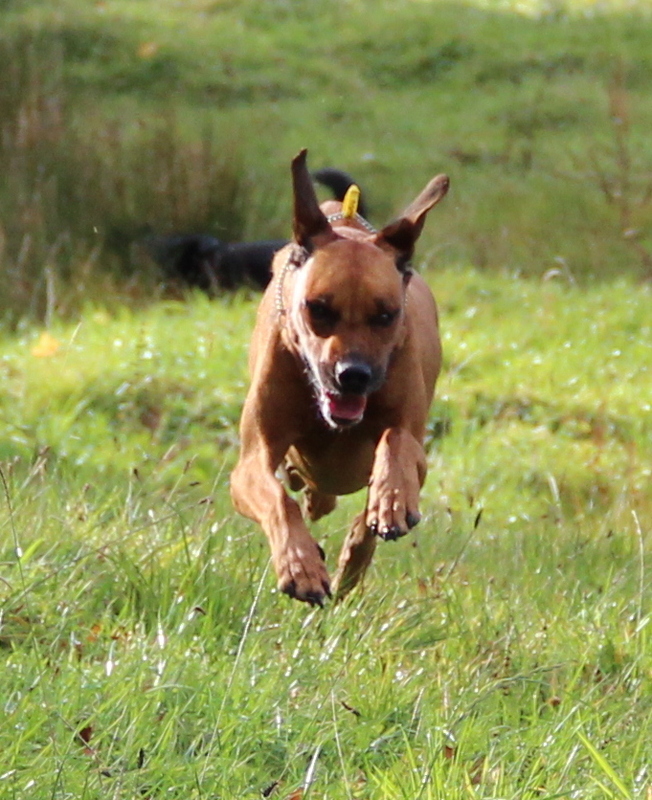 She loves the chase whether it be a bunny or a plastic bag, it really doesn't matter to her as long as its moving! 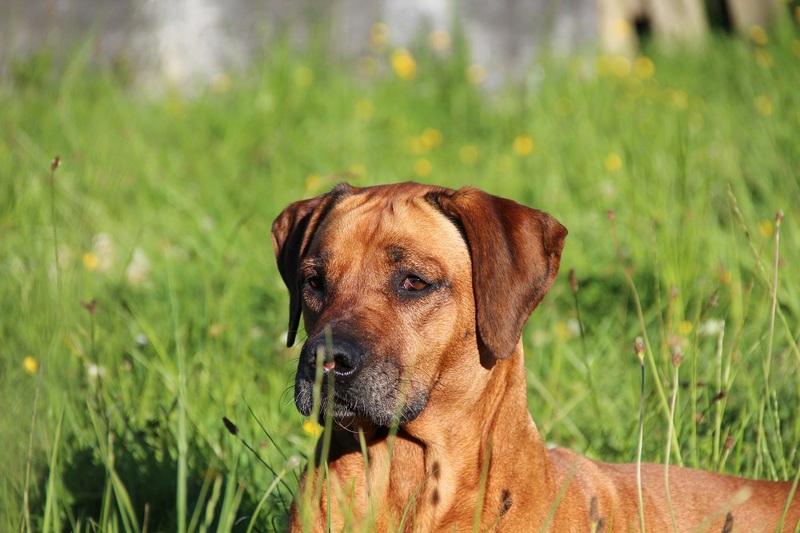 Now the Matriach of the family, she is a kind but firm role model for the young dogs, always happy to teach some manners but just as happy to have a game of tug.